A majority of our lives our parents are the ones who look out for our well-being. As we become adults, the tables turn and our parents rely on us. As our parents age, some of us become responsible for taking the steps to maintain their physical and mental health. Maintaining dental health is just as important as going for physical exams and health screenings. When it comes to knowing about dentistry for aged parents New York City has so many options to offer due to the vast population. However, not all dental practices are accessible in New York City. The elderly who are immobile or house bound need a dentist who specializes in Geriatric Dentistry. What exactly is geriatric dental care? 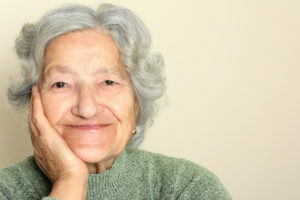 Geriatric dental care pertains to the age group 55 and above. Even as we age, seniors can experience tooth decay and common illnesses in addition to scheduling regular dental check-ups. As we all know, commuting through New York City is not the most relaxed experience for an active individual. Transporting a geriatric patient can be even more challenging. Hence, caregivers and family members who act as caregivers should utilize a dentist who specializes in geriatric dentistry who makes house calls. Geriatric dentists can detect dental related complications. Through examining teeth and gums, geriatric dentists can identify common diseases associated with the elderly (i.e heart disease, liver disease, anemia, and diabetes). Geriatric dentists specialize in denture fitting. Loose dentures can cause mouth infections, which results in appetite loss. Oral cancer is common amongst seniors. Geriatric dentists can detect symptoms early to ensure a higher survival rate. When it comes to dentistry for aged parents, New York City offers a convenient geriatric dentist who offers house calls. Dr. Alisa Kauffman of Geriatric House Call Dentistry treats and understands the challenges geriatrics face each day. Considering Dr. Kauffman is credited as one of the Top 25 dentists in the nation, seniors have trusted her top quality dental treatment for decades. Schedule an appointment today. You now know about a traveling geriatric dentistry for aged parents, New York City has to offer. Call us at 917-826-6278.